Dixons Carphone, battling a fall in profit and about to lose its top two directors, said today it had enjoyed a solid Christmas trading period due to strong demand for the iPhone in the UK. The electricals retailer tightened its full-year profit forecast range today after posting a 6% rise in underlying group revenue in the 10 weeks to January 6. Meanwhile, revenue at Dixons Carphone Ireland, which trades as Currys PC World and Carphone Warehouse, saw record growth of over 12% in sales from the Christmas and New Year trading period. This was the biggest increase in sales in Dixons Carphone Ireland's history. The company said that Black Friday smashed its previous 2016 record, with a 57% jump in revenues over the previous year. Online sales transactions were also up by 37%. 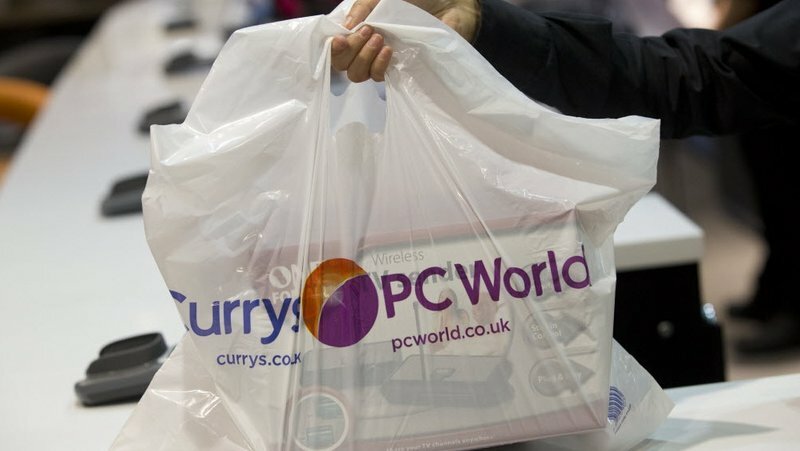 Bringing Currys PC World and Carphone Warehouse into one store for customers also contributed to buoyant sales across the store network nationwide and an estimated 7% increase in visits year on year, the company said. Dixons Carphone issued its trading statement a day earlier than planned after group chief executive Seb James said on Friday he would step down in April to join Boots. The group's finance director Humphrey Singer is also due to leave this year. The group said it had been helped by strong demand in Norway and Greece and an improving scene in its British mobile market due to the launch of Apple's iPhone X.
Dixons announced plans in December to reposition its mobile phone business after it reported a 60% slump in first-half profit, hurt by customers holding onto their handsets for longer. It said today its gross margins would continue to be challenged in the mobile sector, but the phasing of the iPhone launch and other new offers helped it increase its mobile revenue by 8%. "For the remainder of this year we have an early Easter, a new Samsung phone and the first week or two of our World Cup promotion to look forward to, and work continues on redefining and refocusing our Carphone Warehouse business to be a simpler, less capital-intensive model," Seb James said. The group said it now expects to deliver 2017/18 profit before tax in the range of £365-385m. That compares with a previous forecast of £360-400m given in December.